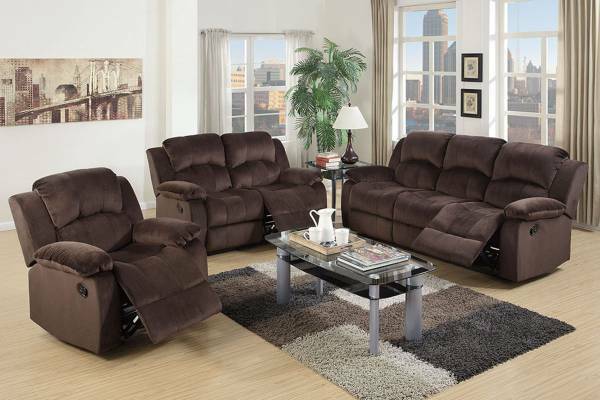 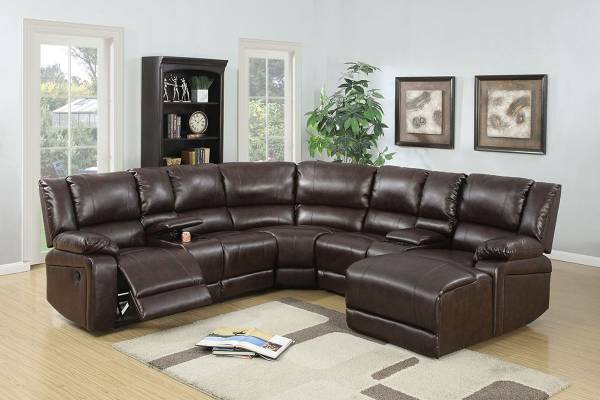 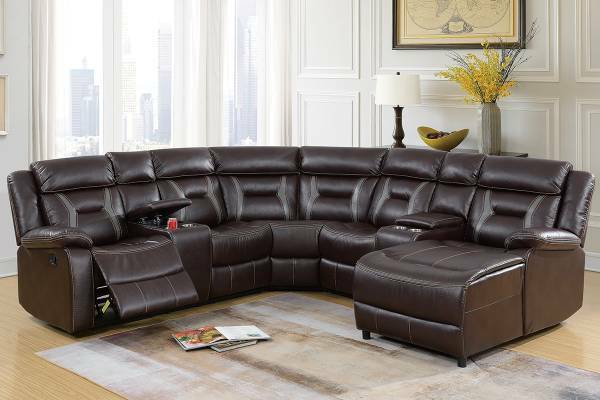 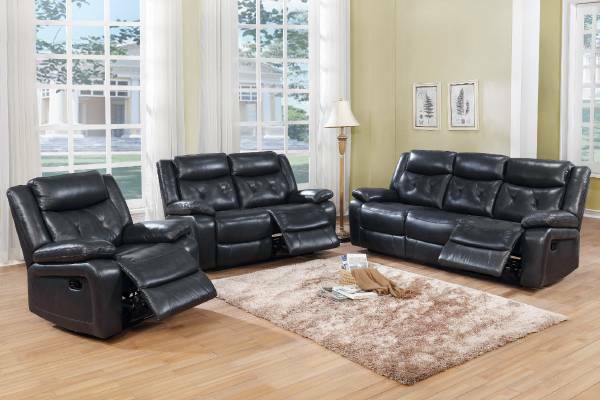 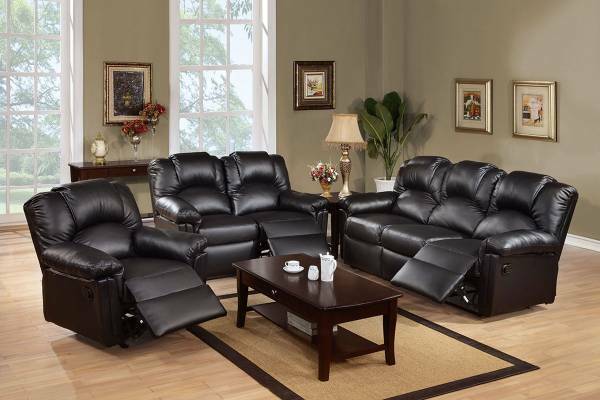 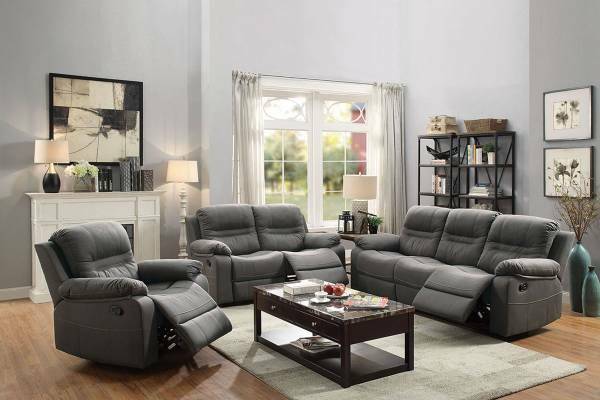 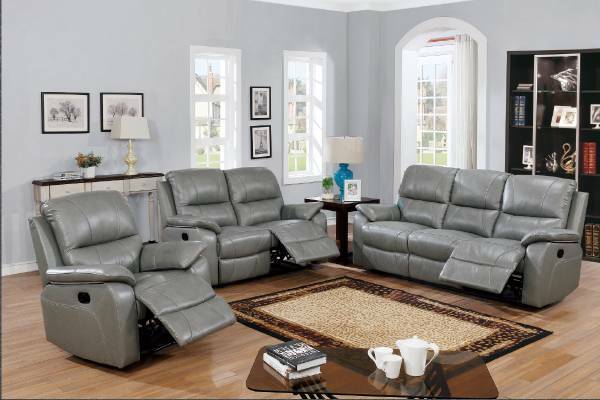 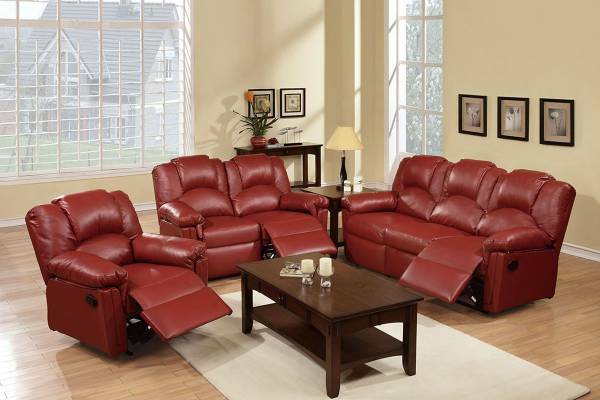 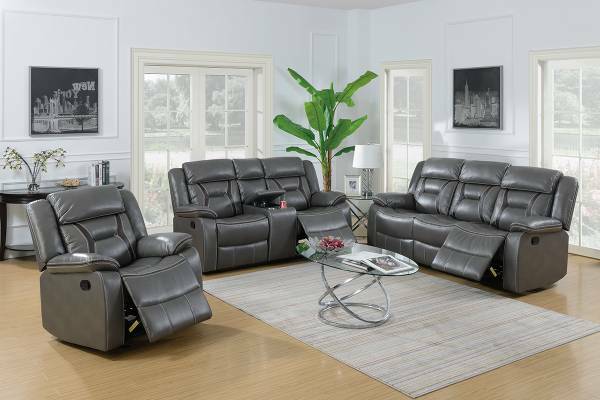 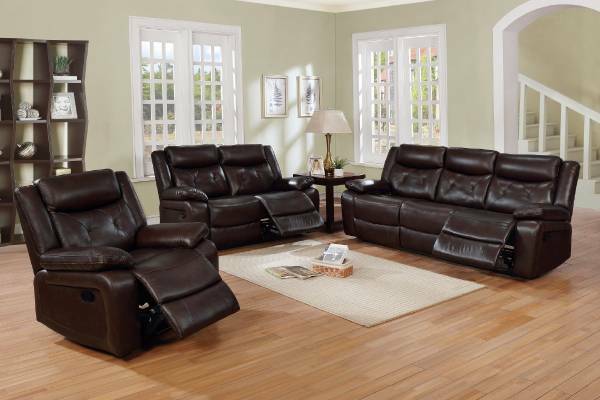 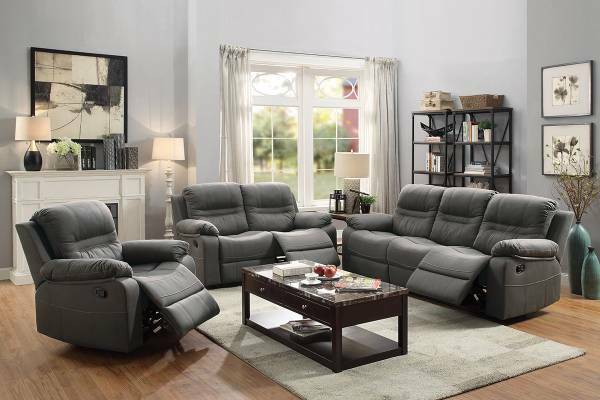 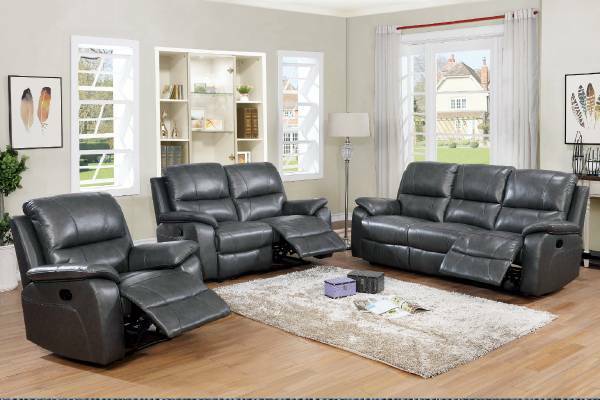 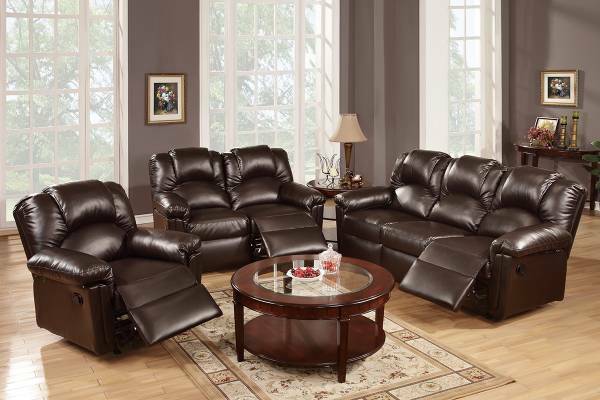 Relax in motion with this 3-piece motion sofa set featuring reclining and rocking super plush seating upholstered in a breathable leatherette fabric. 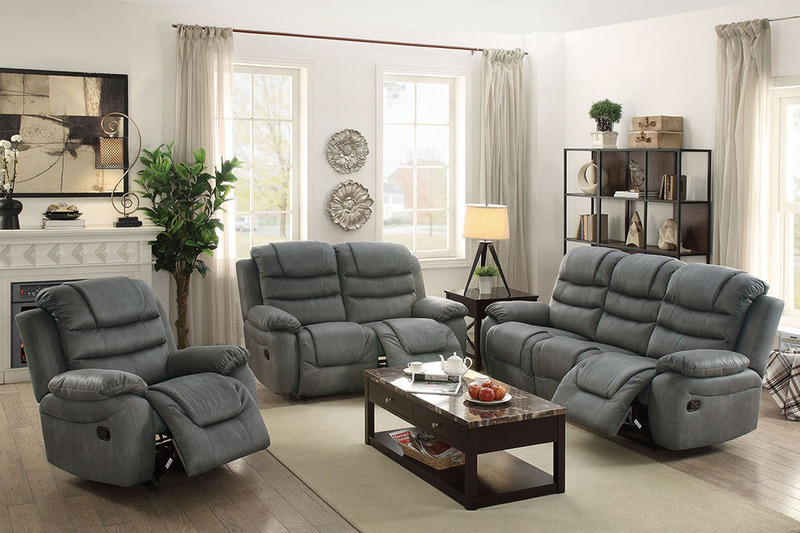 The multi-panel pillow top cushions provide extra support whether sitting up or laying back watching a movie or enjoying a Sunday afternoon nap. 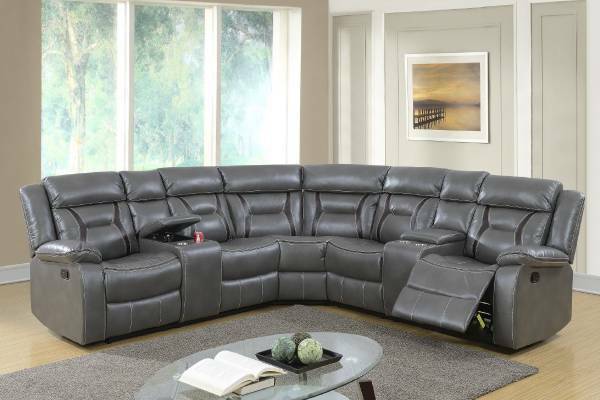 Available in dark coffee or slate grey.